We can truly say that we had one heck of a tasty travel year in 2017. From exploring new countries like Portugal and Mexico to revisiting some of our favorite cities like Milwaukee and St. Petersburg it was a great year. 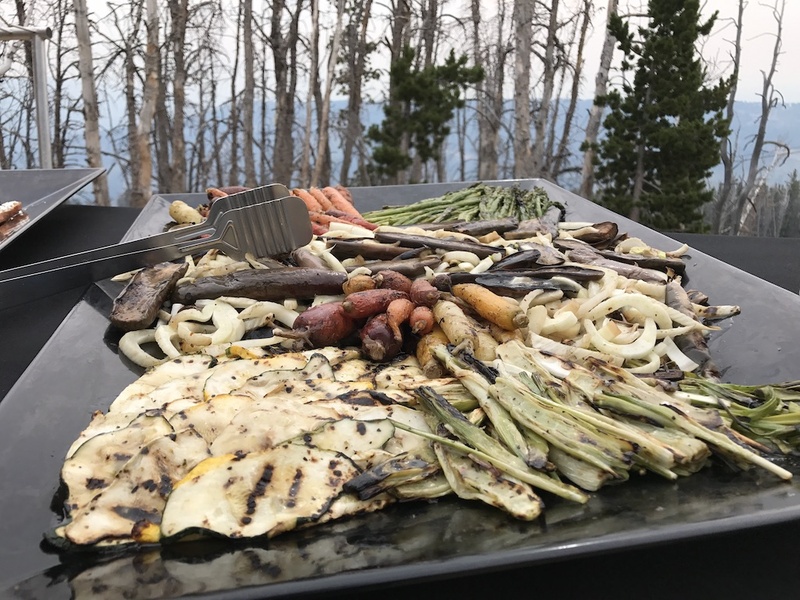 Here’s a look back at just some of our food travel adventures. This was our first trip to Big Sky Country and it was spectacular! Not only did we find incredibly delicious food and beautiful landscapes we also met so many wonderful people. We loved it so much that we’re heading back in January to experience this awe-inspiring destination in the winter. We can’t wait! I used to spend quite a bit of time in St. Petersburg, Florida years ago. 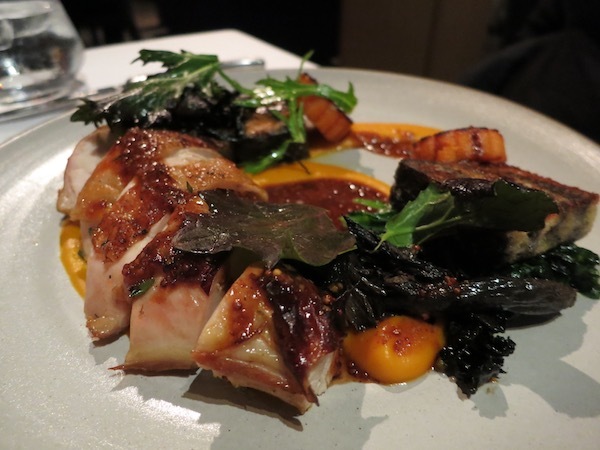 But during our visit, even I was surprised by just how much the culinary scene has boomed. And, if you love art you will be happy to discover it everywhere from great museums to amazing street art and wonderful sculptures all over town. We knew Providence would have great seafood but we had no idea it would be such a diverse, fun and inspiring destination. The culinary scene is second to none and the cultural offerings are equally bountiful. Unique local events, festivals, art, tours, shops and more will keep you busy until your head hits the pillow. We simply loved the friendly people and welcoming vibe of the east coast town. You will not run out of things to do in this bustling city and we can’t wait to go back and get a second helping. Incredible food is only one of the reasons that Portugal was just selected as the World’s Leading Destination at the World Travel Awards. I’ve wanted to visit Portugal for years and finally got the chance in 2017. Gorgeous beaches, UNESCO Heritage sites, castles, wine, seafood all await you in this magical country. 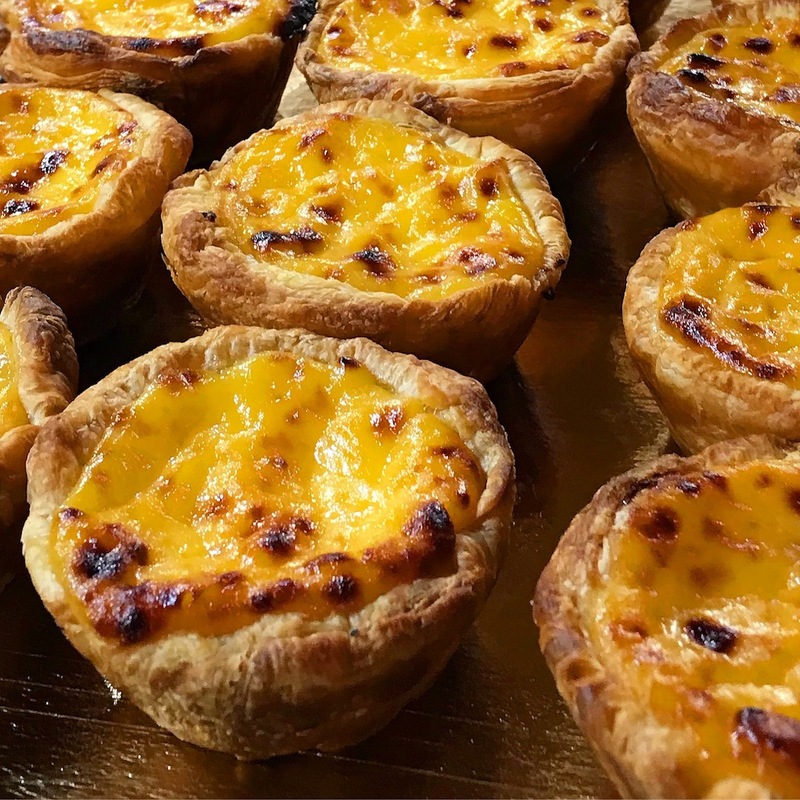 The pastel de nata or egg tarts will soon become your new favorite treat. Portugal has so much to offer and so many different areas to explore. This will be just the first of many trips to Portugal. Affectionately known as “Beer City,” Grand Rapids, Michigan is an easy road trip for many Midwesterners. If you’re a craft beer lover you’ll enjoy the selection of local beers by following their ale trail. Along the way, you can stop for some bites and sample the unique eateries that offer everything from grab and go to fine dining fare. There is also plenty to see and do in this bustling town filled with an entrepreneurial and art-loving spirit. 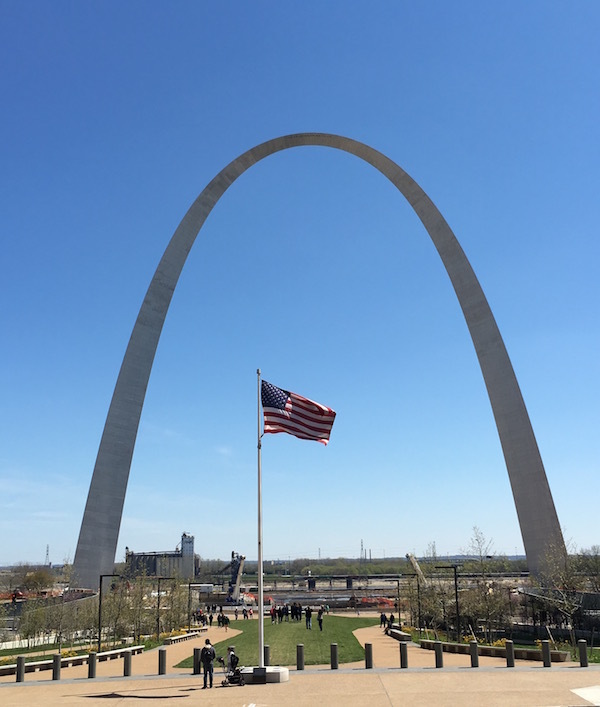 Another Midwest food spot is St. Louis, Missouri. The neighborhoods remind me a lot of a slightly smaller Chicago. The many buildings left from the World’s Fair set this city up as one with lots of architectural interests, including the world famous arch, to visit and enjoy. This lively town that loves its sports teams has lots of nooks and crannies to explore. 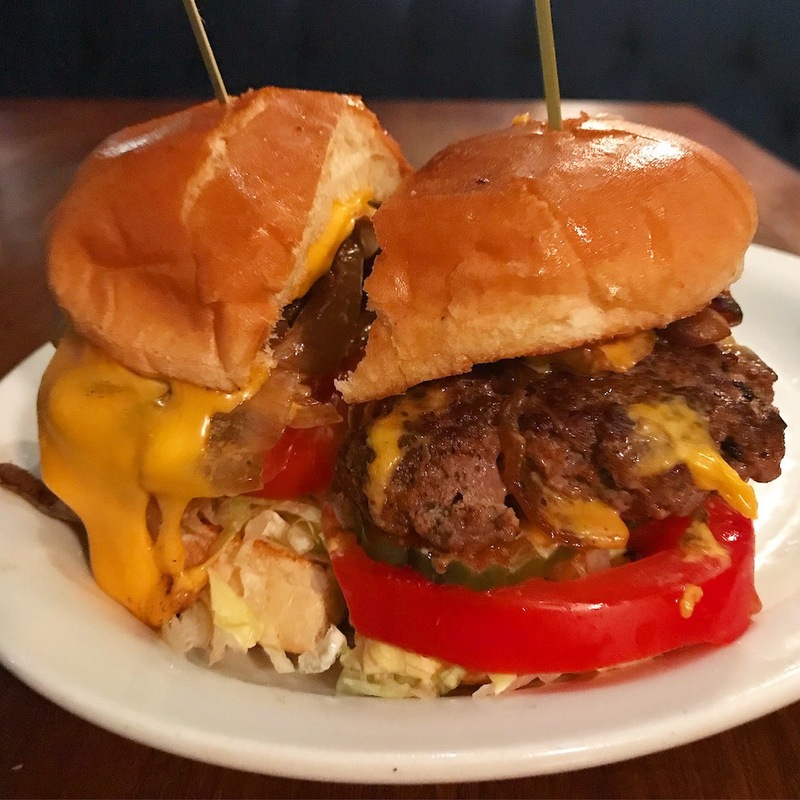 St. Louis has plenty of unique foods and experiences you’ll definitely want to try. Cody, Wyoming was my very first trip to the old wild west. It was surprising to me in so many ways, not the least of which was the delicious food. 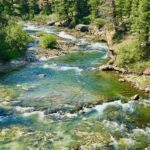 You will enjoy the history as well as the vittles in this fun and memorable town with a strong sense of its universe appeal. You’ll find cowboys, rodeos, gunslingers, high-quality meat and even fine dining here in Wyoming. Another incredible destination to add to your must-visit list is Mazatlán, Mexico. 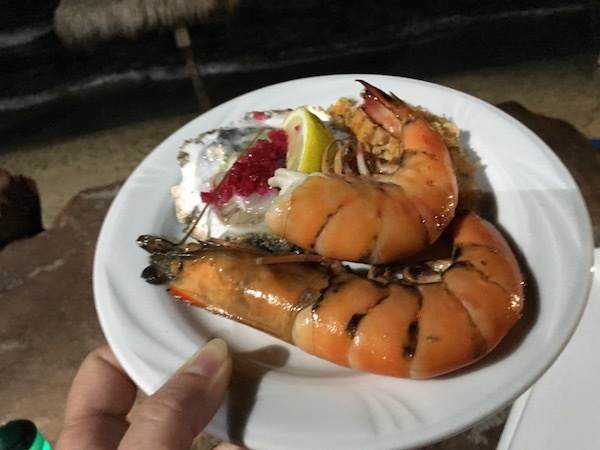 When you’re not eating fresh caught shrimp as big as your head you’ll be swimming, hiking and touring your way around this wonderful town on the Mexican Riviera. Taking a ride on one of the world’s longest Malecon in the unique golf cart-like pulmonia is worth the trip alone. But there’s so much more to enjoy from first class resorts, beautiful beaches, world-class dining, music, shopping…the list goes on and on, so go see it for yourself. Our love for Milwaukee goes way back. Our nearby Midwestern friends have really helped this wonderful city grow into a wonderful culinary destination. In addition, Milwaukee really earns is title as the “City of Festivals.” With a festival featuring most every ethnicity, holiday, season or just about any reason to celebrate with good food, spirits, and wonderful people, Milwaukee always has something tasty to eat and fun to do. 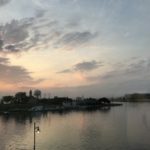 Whether you’ve been there a lot or never have visited, you’ll want to experience what’s happening in Milwaukee time and again. We were delighted to be presenters at the Women In Travel Summit in Milwaukee this year. Now we’re thrilled to present again in May in Quebec City for WITS ’18. If you’re a woman involved in the travel industry and you’d like to connect with other women travel writers, develop your skills, meet with potential partners, and enjoy amazing hospitality from the host destination, this is the conference for you. Is it in the Midwest or the Southwest? Does it really matter? At the end of the day, Oklahoma City is a city filled with interesting history, great art, lots of cultural activities, diverse dining and a pioneering spirit. We just recently returned from OKC so stay tuned for more on all there is to do and eat in this fun and flavorful city! Just think about how sweet it is to live in a place like sunny Southern California. Right about now a lot of people living in colder climes are looking for warm and tasty place to visit. If you are one of them, then delightful La Jolla, right outside San Diego, should come up high on your radar. You can stroll along the beach watching the sea lions sunning themselves. You can window shop on the main street discovering unique boutique shops like one with items imported from Provence along with galleries such as one dedicated to Dr. Seuss. There are many places across the spectrum to eat and drink. But most of all you’ll find yourself relaxing and enjoying yourself in this beautiful seaside town. Another Midwest road trip must-do foodie stop is Madison, Wisconsin. 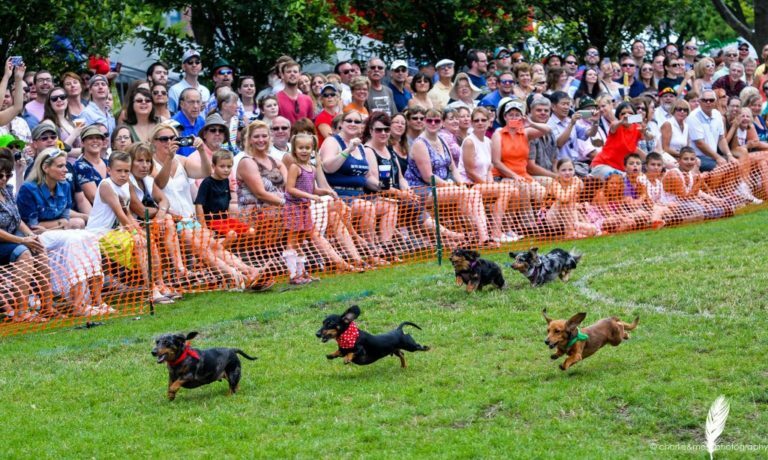 Here you’ll learn that Wisconsin is more than just sausages, beer and supper clubs (although we enjoy those too!) This college town proved long ago that it brings its A game to the culinary scene. 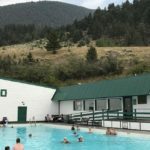 There are great places to stay, tons of fun events, an amazing craft beer and cocktail scene, absolutely delicious ice cream and one of the biggest farmers markets we’ve ever seen! You’ll only have to stop if you want to, and you can enjoy a Wisconsin-style Old Fashioned if you like, in this lively isthmus town with beauty all around it and endless options for fun. We hope you enjoy our little journey back over this year. We sure enjoyed exploring new places, returning to old favorites and bringing you the latest food and travel has to offer. So far we have quite a few trips already scheduled. We are super excited to be returning to Yellowstone Country in Montana in January. Then we’ll be visiting Los Cabos, Mexico in February. 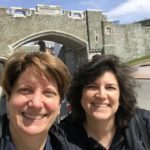 And, of course we’ll be speaking at the Women’s Travel Summit 2018 in Quebec City. The rest of the world is out there for us to discover. Just some of the other places we’re looking at domestically are Ann Arbor, Michigan, Minnesota, and exploring more of the east coast. Internationally Provence, France, Turin, Italy, more of Portugal and Spain are high on our list. What do you have on yours? Let us know and maybe we’ll meet you there! Here’s to another amazing year for Food Travelists everywhere. Such variety of mouthwatering cuisine!! I enjoyed reading about so many different locations — domestically and internationally. 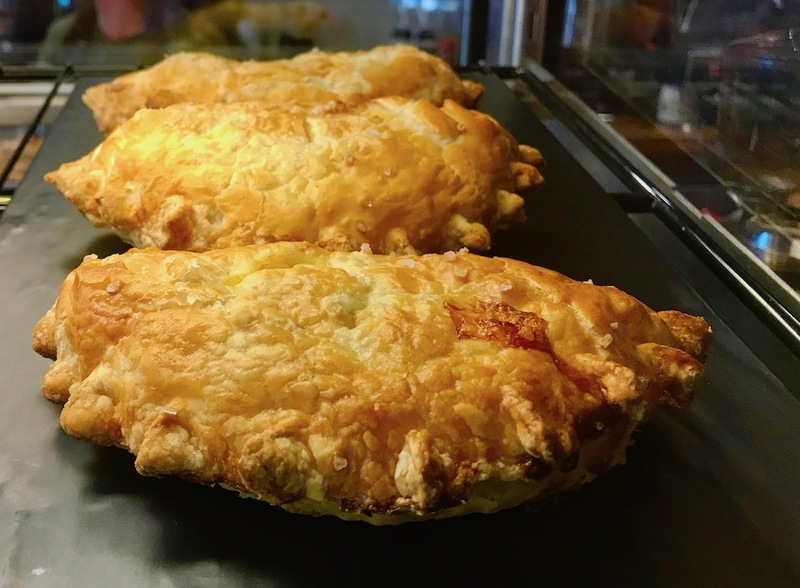 Great article and your photos certainly make me hungry!! I would’ve probably gained 20 pounds enjoying all these delicious foods. Better that I do this ‘virtual tasting tour’! Great suggestions for where to go and what to eat there. I would’ve gained 20 pounds trying all these delicious foods – better that I take the ‘tour’ virtually with this roundup! Oddly, I’ve been to most of these places, which is unusual for me. Never really thought of some of them as foodie towns (except for the egg tarts in Portugal.) Going to have to do some rethinking as we take our next US road trip. I fell for Portugal this past year too, and I absolutely dream of those custard tarts!! 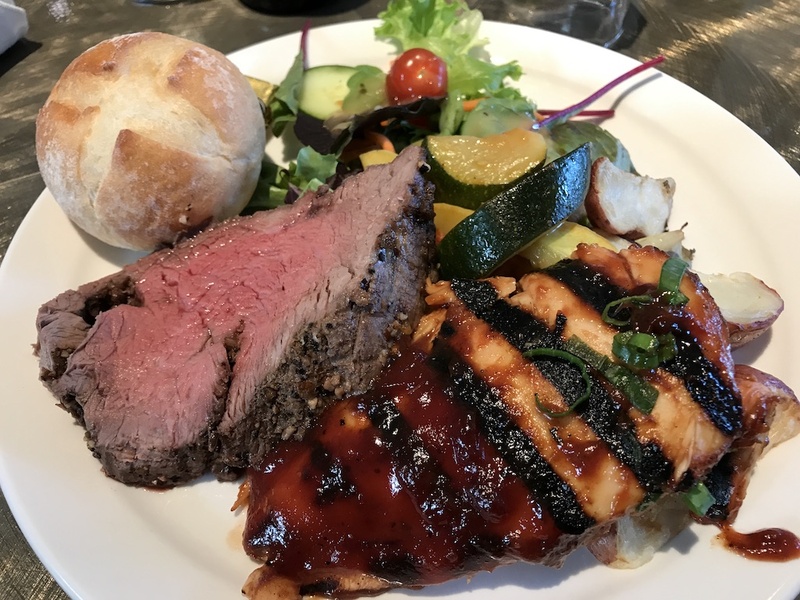 Great foodie review – – had me salivating to go! Wonderful post, Sue. And it confirms how you can find good food and drink ANYWHERE if you know where to look. Wishing you many tasty travels in 2018. I’m not that familiar with U.S. food destinations. The ones you’ve highlighted look and sound delish. I’m a big fan of both Portuguese and Mexican. Happy New Year! Really bad decision for me to read this on an empty stomach :-). 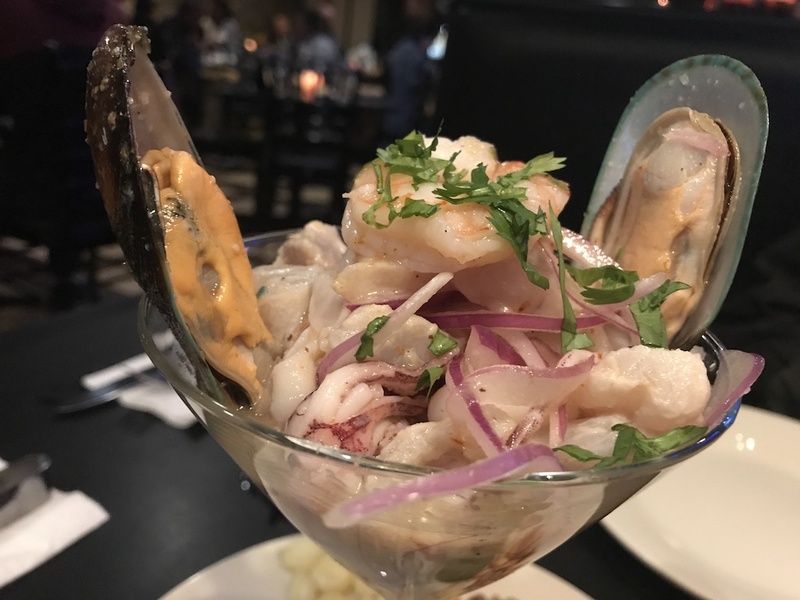 I love every single image on this blog, especially the ceviche . Yum..yum..yum!!! Here’s to more food in the new year :-). 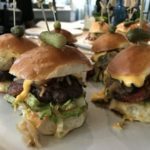 You list some really good dining locations in this article. We actually have plans to visit a couple of the cities on the list of tastiest travel destinations in 2018. Thanks for sparking some new destination ideas. Travel Safe! OMG! I’m starving! You had me at the roasted veggies! And the Portuguese egg tarts and those shrimp! I need to try those shrimp! Were those tater tots in Grand Rapids? 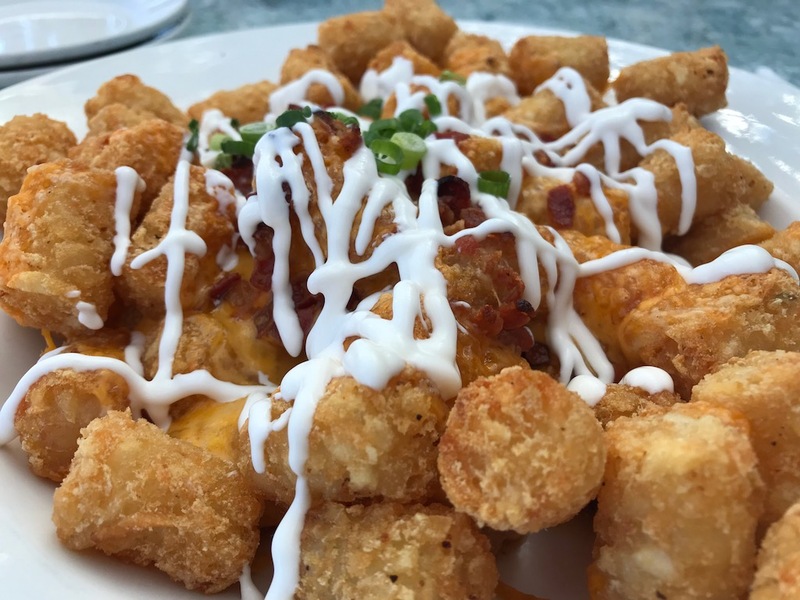 I miss tater tots… I can’t get those in Denmark, but they’re one of my all time favorite potato snacks, bonus points if they’re deep fried, which it looks like those were! Oh, I am so excited to read some of these posts! I have been wanting to go to Mazatlan, Mexico. The food all looks so delicious! I hope you have a great New Year and eat exceptional food! I am from the Midwest and have enjoyed many good eats in that area. Wow – this is a great list! And also very varied. I can vouch for Grand Rapids because I live in Michigan 🙂 we did a “beercation” there a while back and did Founders and Bells (and went with friends who don’t drink, actually – plenty of tasty food to go around!). I’ve heard Montana is lovely, and my dad’s family is from RI so I’ve been to Providence here and there, too. So many great places to enjoy some delicious food. What a great list you were able to experience this year. I love trying new local places when we travel. I hope we can visit some of these places soon. Good lord I could visit all these destinations, everything looks so yummy! I need to make a few trips to taste these dishes out especially since I am close to Grand Rapids…lol Enjoy your travels and Happy New Year!! Can you hear my tummy grumble? That happened the minute I started reading all about these delicious food! Yummy. 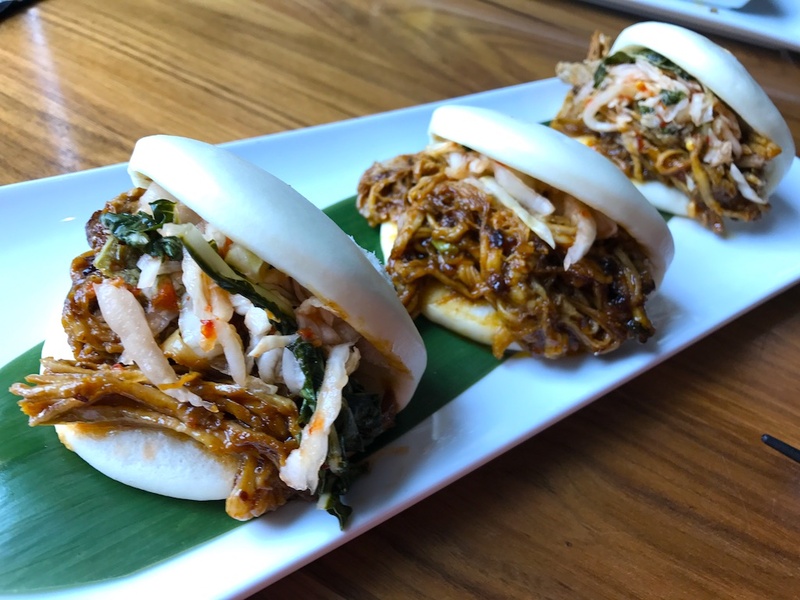 I would want to try those Pork Bulgogi in Steamed Buns! OMG! I love exploring new places and tasting the best foods in each city. One of the most interesting foods I’ve tried this year was Alabama White BBQ sauce. Here’s to more tasty travels in 2018. White BBQ sauce that’s a new one on me. Love to try it. Thanks for stopping by Tomi! We are going to be in St. Petersburg, Florida next month. I will have to check out Harvey’s Fourth Street Grill . Oh it all just sounds amazing. I’d love to travel and try all the best foods. Hopefully at some point I can! Yum! Wow! Some wonderful food here! I’m digging the St. Petersburg sliders! Those look amazing!! I also wouldn’t mind trying those Portugal Egg Tarts! I wonder if they are similar to the quiche I make in muffin tins. Oh man all of this food is making me hungry!! I would love to travel to these paces and just eat, eat, eat! LOL! St. Louis is one of ,y favorite food cities. I am so glad it is finally getting on the radar for more people. Oh my gosh all of this food looks so delicious! I’ve been to Rhode Island but haven’t eaten any other places yet! I haven’t visited any of these places but it looks amazing. I recently went to New Orleans and that food blew me away! I haven’t been to any of those places. I do love tasty food though, and appreciate tips on who has good food and who doesn’t when I travel. I love the idea of having so much yummy food. What a great selection of foods you were able to enjoy, hopefully 2018 brings you even more food experiences! 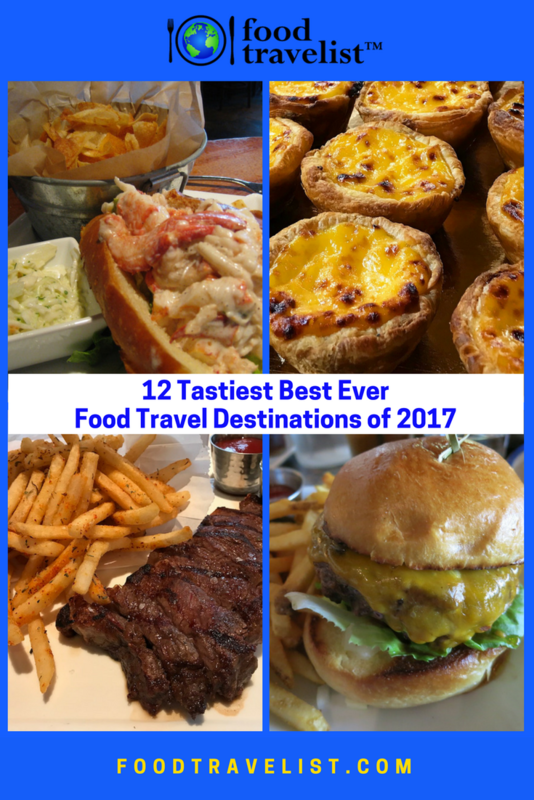 I’ve been to St. Petersburg, FL, Milwaukee and Madison, WI and St. Louis and I can confirm that they are great travel destinations for food lovers! I’ll definitely have to try and visit the other cities on this lit someday. I wouldn’t mind a nice foodie trip to Madison. I love the Midwest and I’ve seen a lot of Michigan but not much of Wisconsin. You sound and remind me of a food cooking show. Wonder dishes you have had the chance to try out. I’m drooling over all the scrumptious food you’ve enjoyed over the past year. Take me with you next year! 🙂 Enjoy your travels and have a very Merry Christmas! Thank you for making me drool! I love to eat, so I always want to try different foods when I travel. Enjoy your foods in 2018 when you travel!